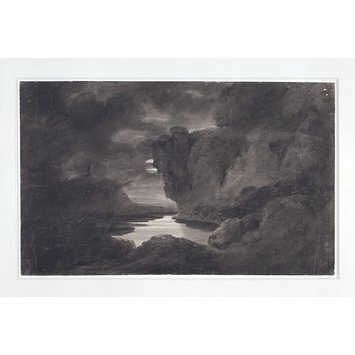 Sepia drawing depicting a landscape view in the moonlight with a long inscription by the artist on the reverse. Inscribed on reverse. See 'The Connoisseur' LXIII, 189. 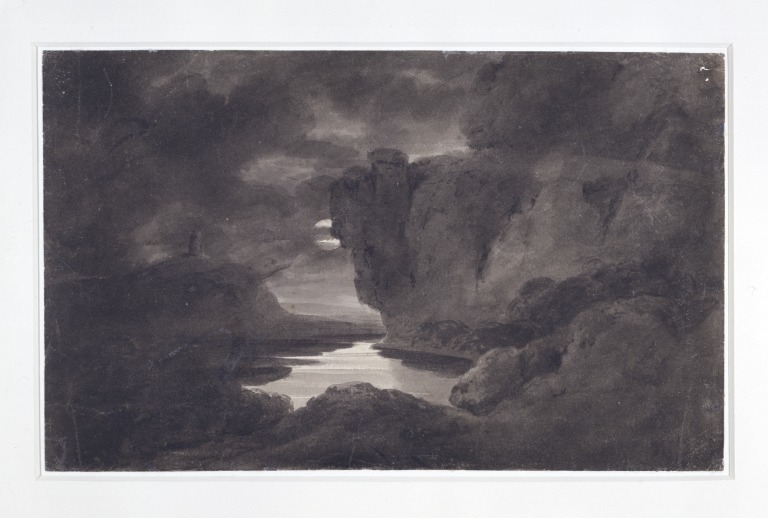 Sepia drawing by François Louis Thomas Francia entitled 'Landscape Composition - Moonlight'. Great Britain, 1799.